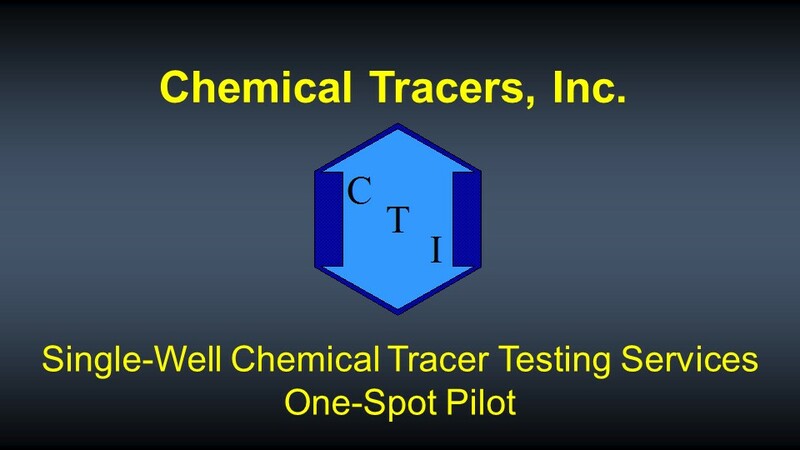 One Spot EOR Pilot | Oil Field SWCTT | Chemical Tracers, Inc. The One-Spot Pilot is an essential tool for any reservoir engineer considering an EOR flood. The non-destructive nature of the SWCT method allows us to evaluate EOR processes from a single well. A One-Spot Pilot is an insitu field evaluation of EOR process that is carried from a single well by combining two residual oil tests, one before the EOR injectant (chemical or miscible) and one after. CTI provides an accurate, reliable, cost effective test that can be used to verify laboratory results under reservoir conditions. Our One-Spot Pilot test series drastically reduces the scale-up risk. This approach allows us to fine tune the chemical blend prior to either a larger pilot program, or a full scale EOR operation. The One-Spot Pilot is an essential tool for any reservoir engineer considering an EOR flood. Entire test sequence is typically completed within 2 to 4 weeks. We have completed over 150 One-Spot Pilots worldwide. Existing well and field facilities can be used. One-Spot project costs are a small fraction of conventional pilot study costs. The testing is carried out on an existing well, producing anywhere from 100% oil to 100% water. Our extensive experience in evaluating EOR processes in situ has positioned us as a leader in EOR pilot scale field operations. Scaling up EOR programs from bench scale to reality always presents a series of unforeseen difficulties. CTI has unparalleled experience in embracing these difficulties. We know what to expect, what works, and what doesn't. If you are beginning an EOR field operation, CTI is here to assist you in proving a winning process. CTI understands enhanced oil recovery evaluation. We measure the residual oil saturation of the reservoir before and after EOR fluid injection. The non-destructive nature of the SWCT method allows us to evaluate several EOR processes from a single well. We have tested nearly every EOR method ever developed, and have the experience and know-how to assist in the development and testing of new injectants - for any reservoir, anywhere in the world. Reservoir engineers are understandably nervous when asked to scale up an EOR program for multiple well injection based solely on centimeter scale laboratory results. The most common practice is to do a proof of concept multi-well pilot program to demonstrate an EOR process. However, multi-well pilot studies typically cost 10's of millions of dollars and require over a year of operations before conclusive results are available. The One-Spot Pilot test provides a rapid non-destructive solution to evaluate EOR flood performance in hundreds of barrels of pore volume in two to four weeks. If you are not familiar with this SWCT test method, we invite you to have a look at the explanation video above.